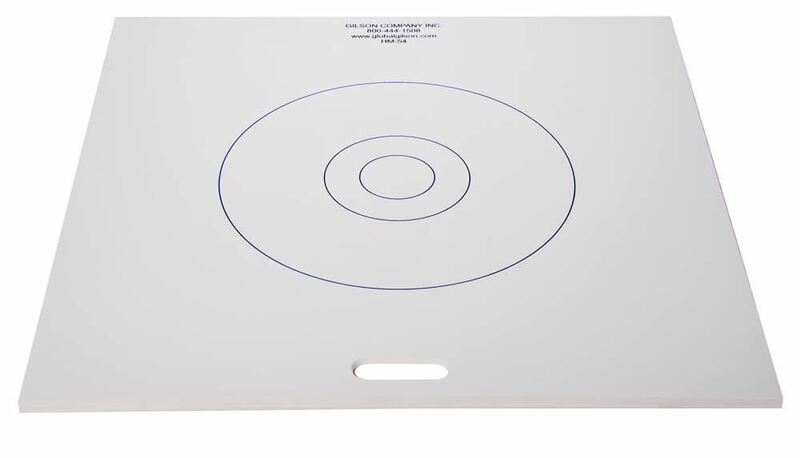 Base Plate for SCC Passing Ability Test - Gilson Co.
HM-54 Base Plate for SCC Passing Ability Test is 36x36x0.5in (914x914x12mm) Dia.xH and used with HM-42 J-Ring and the HM-43 Modified Slump Cone for testing passing ability of Self-Consolidating Concrete (SCC). It is made of plastic and has cut-out handles. 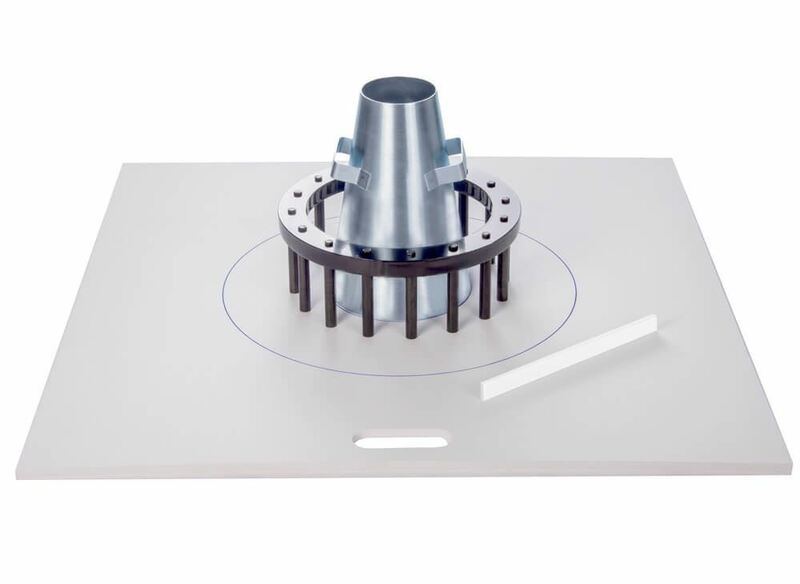 The base plate is constructed with inscribed concentric circles as required to perform slump flow testing in accordance with ASTM C1611. 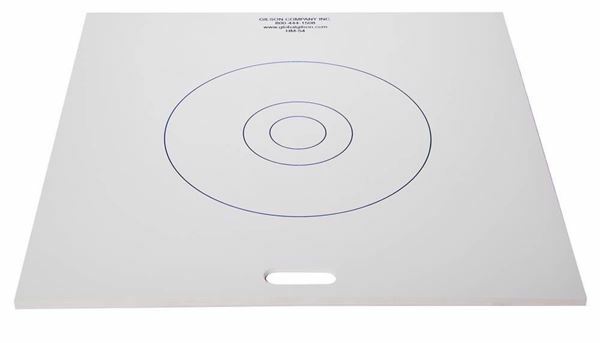 Sold separately, or included as part of HM-55 SCC Passing Ability Set for J-Ring Test.